Seems like an easy enough question, right? But IT leaders are finding it a challenge to define just which applications are mission critical, while – at the same time – facing exacting service-level expectations and continuous pressure to make ever more efficient use of resources and budgets. To help IT leaders identify and face these challenges in mid- to enterprise-size environments, IT World Canada conducted a unique survey of IT leaders across the country and across different industries. 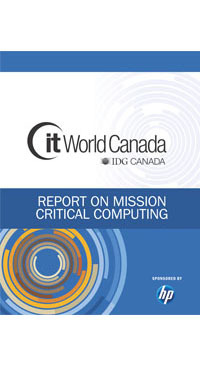 The end result was the “IT World Canada Report on Mission Critical Computing”, which presents what IT decision-makers are prioritizing as they struggle to address the risks of failure in today’s complex environments.